Coffee • Provisions • Deli – Younger sibling of No.12 Easton. Neighbourhood speciality coffee shop bringing good food & drink to the Old Market manor. 25A Old Market is the younger sibling of No 12 Easton, and, like No 12, it has the virtue of using its address as its name. 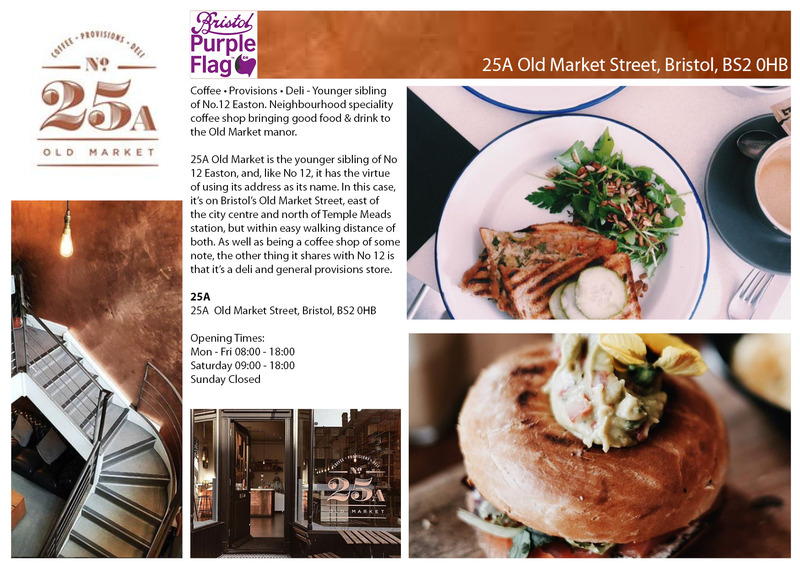 In this case, it’s on Bristol’s Old Market Street, east of the city centre and north of Temple Meads station, but within easy walking distance of both. As well as being a coffee shop of some note, the other thing it shares with No 12 is that it’s a deli and general provisions store.